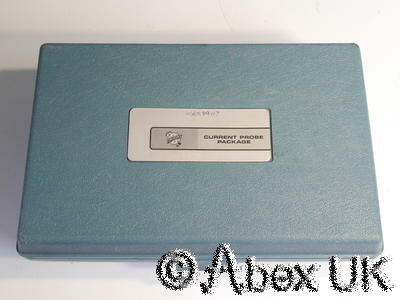 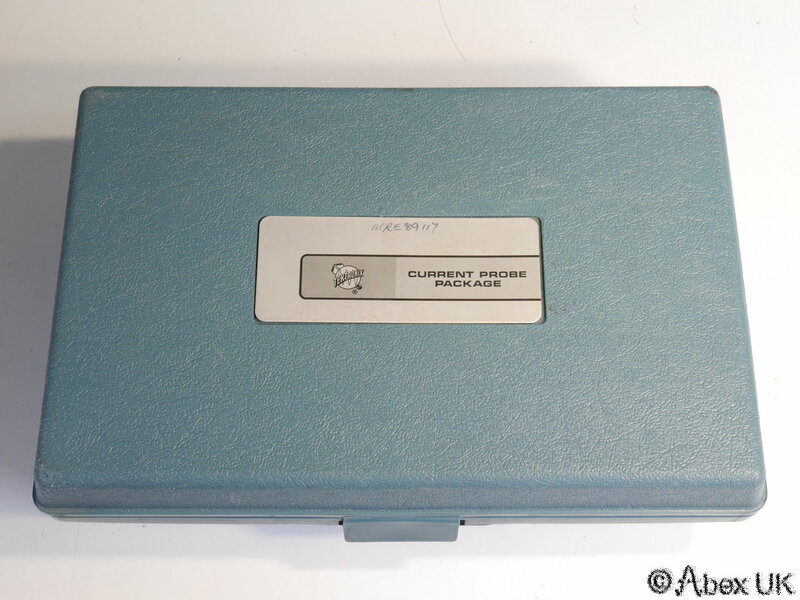 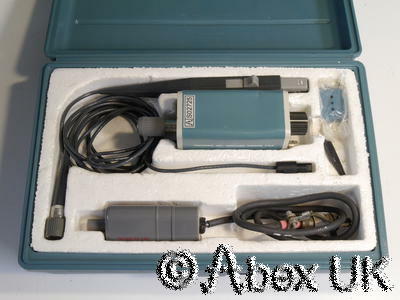 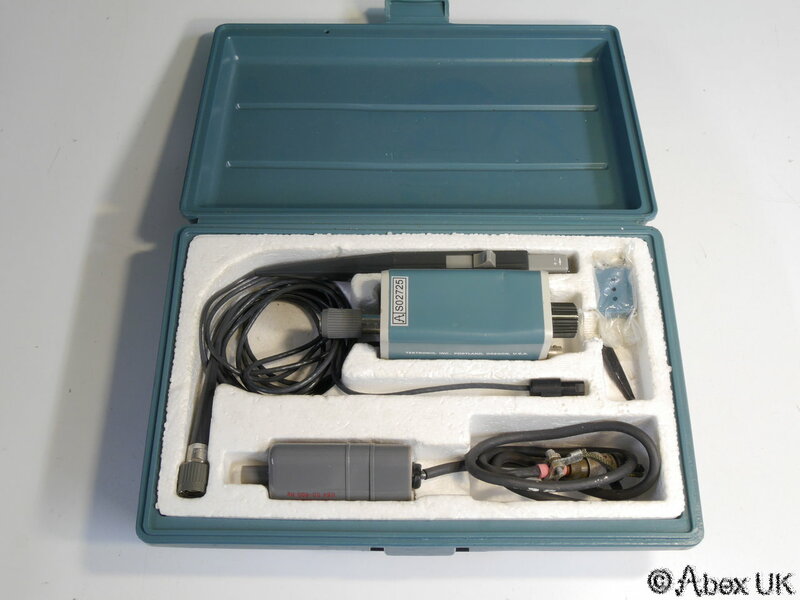 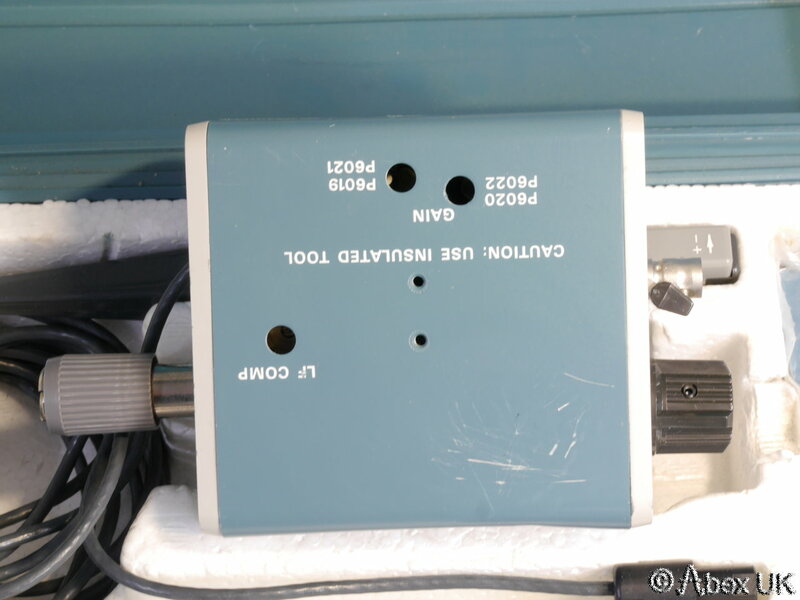 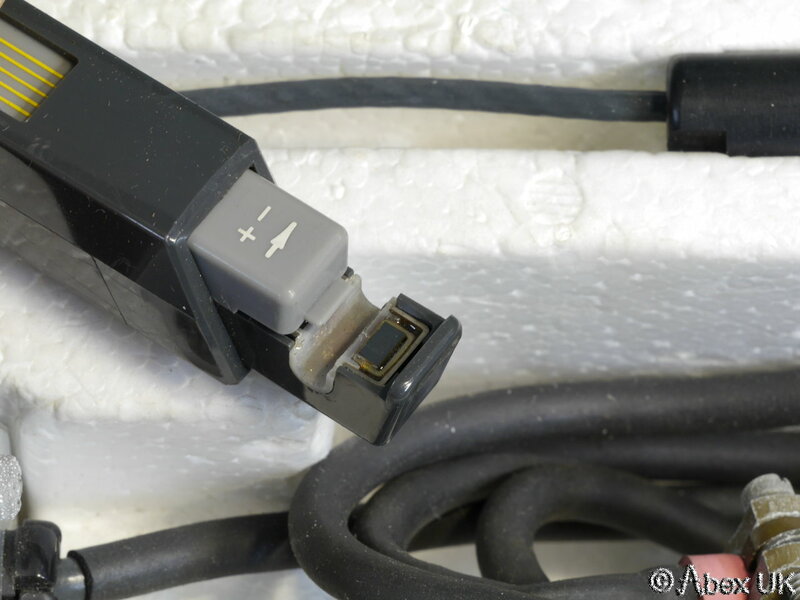 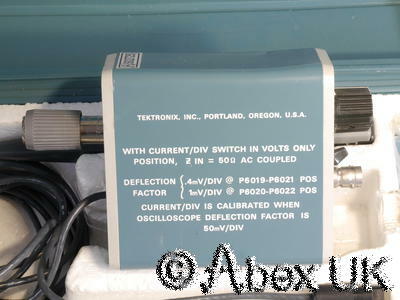 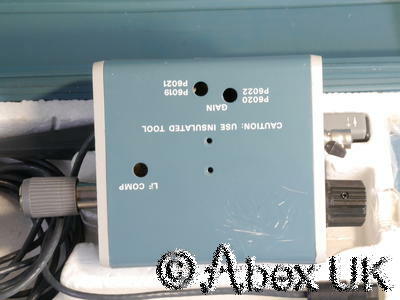 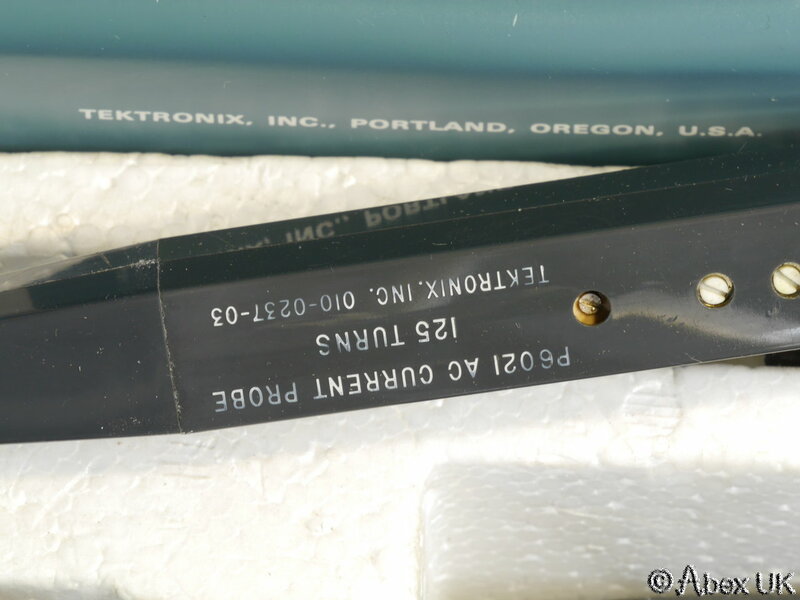 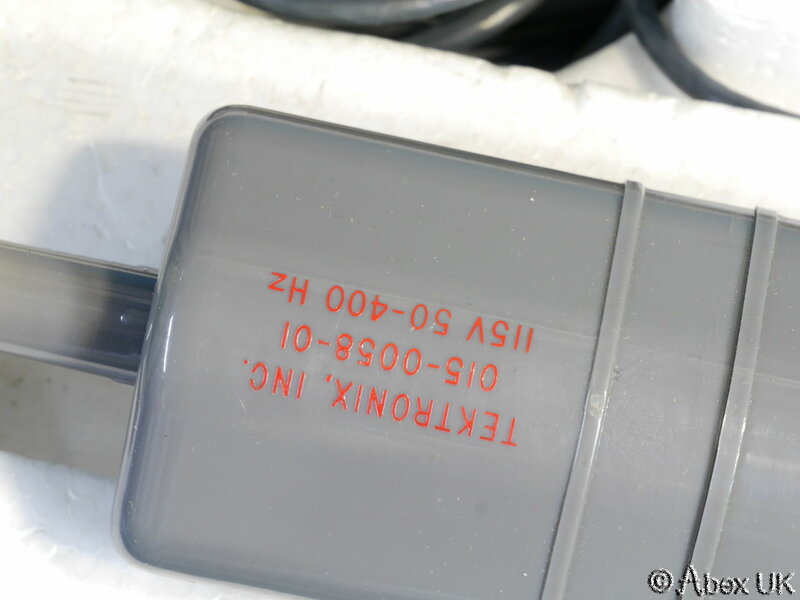 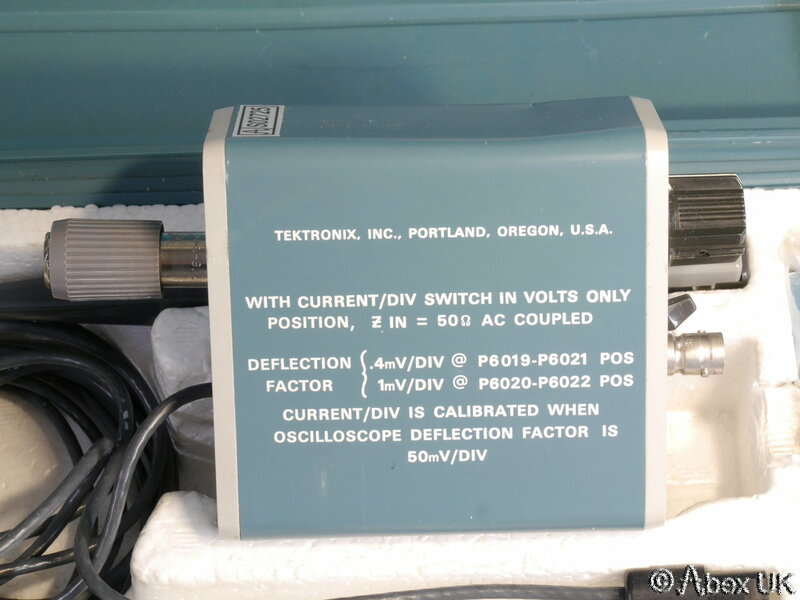 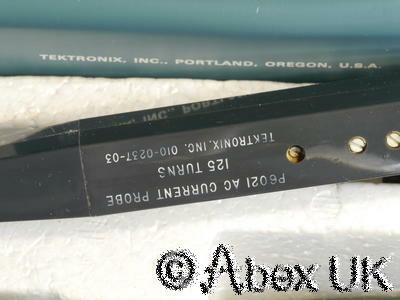 The Tektronix P6021 is a 60MHz current probe which can be used with a passive (resistive) termination, or with the type 134 amplifier shown here. 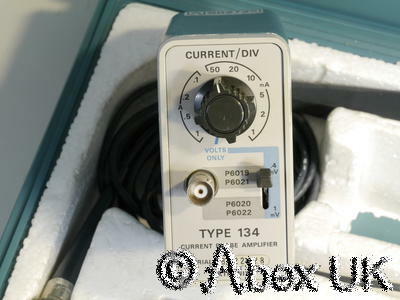 The sensitivity is significantly improved by the 134 amplifier. This unit is in good "used" cosmetic condition and comes with a matching 115V mains power supply.